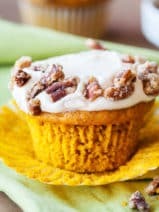 When you think of holiday desserts, what is the one ingredient that stands out in your mind as the ultimate crowd-pleaser? 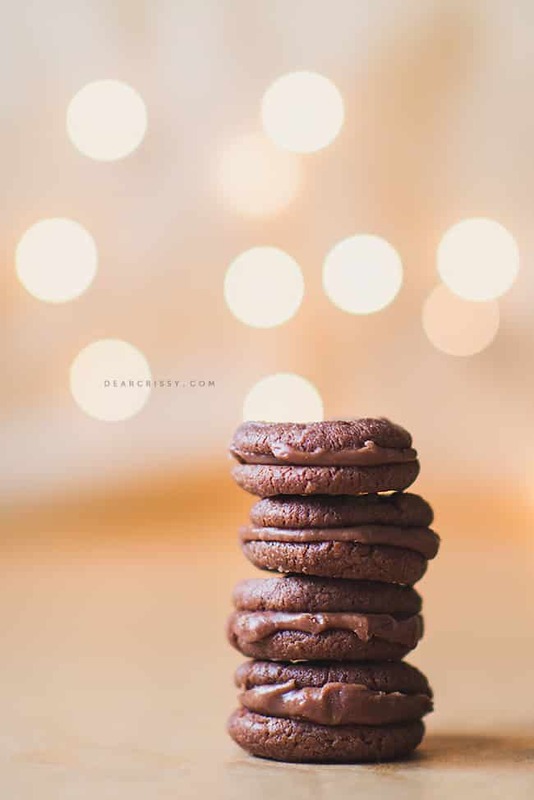 For me, that ingredient is chocolate, and these milk chocolate mini sandwich cookies are the perfect little chocolate treat for the holidays. In fact, these cookies are so great, you might even want to leave a few out for Santa on Christmas Eve! The best thing about these cookies, aside from the taste of course, is their size. They are adorable little sandwich cookies filled with a super creamy and delicious milk chocolate sour cream frosting made with BREAKSTONE’S Sour Cream! 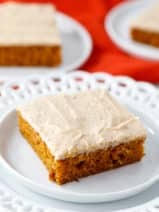 Seriously, the flavor of this frosting can not be topped, and these little cookies just look so nice on a plate that you’ll be a hit when you show up with a few batches of these at your holiday gathering! The holidays are all about spending quality time with family and friends, enjoying the spirit of giving and also taking time to relax and reflect. 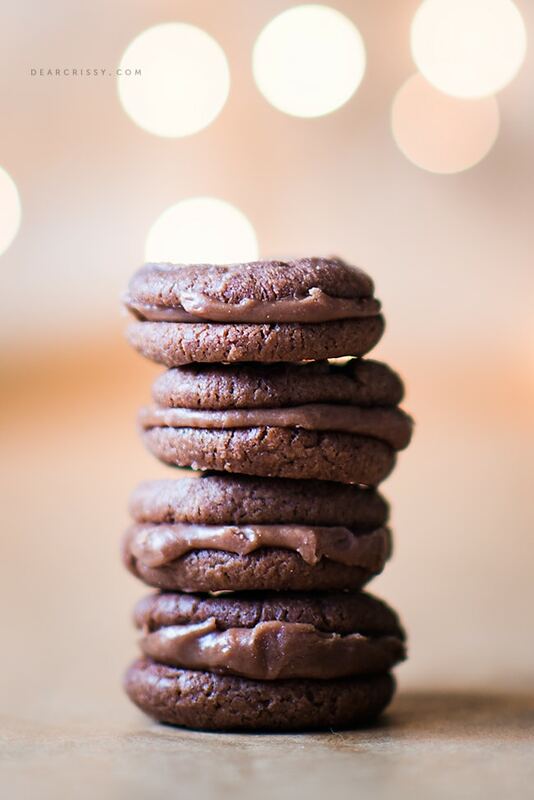 That moment will be even sweeter with one of these milk chocolate mini sandwich cookies, trust me! Hope you enjoy and happy holidays from my family to yours! 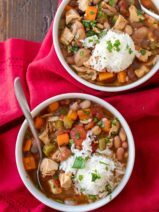 In a medium bowl combine flour, Calumet Baking Powder, and salt then set aside. In a heavy small saucepan heat and stir chocolate over low heat until melted, stirring constantly. Set aside. In a medium bowl beat your butter with an electric mixer on medium speed for 30 seconds. Then, add in sugar and beat until fluffy. Beat in melted chocolate, egg, and vanilla. Preheat oven to 350. Line cookie sheets with parchment paper; set aside. Removing one portion of dough from freezer at a time, roll each portion into a 10-inch roll. To roll, place the dough on a sheet of waxed paper and use the paper to help shape the roll. If dough becomes too sticky, return to the freezer for a few minutes. Wrap and freeze for 5 minutes more. Cut rolls into 1/2-inch slices. Place slices 1 inch apart on prepared cookie sheets. Bake for 9 to 10 minutes or until edges are set. Cool on cookie sheet for 2 minutes. Gently remove from sheets (cookies will be brittle) and transfer to a wire rack to cool completely. 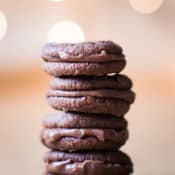 Spread Milk Chocolate Sour Cream Frosting on the bottom sides of half of the cookies, using 1/2 teaspoon for each cookie; top with remaining cookies, bottom sides down, to make sandwiches. 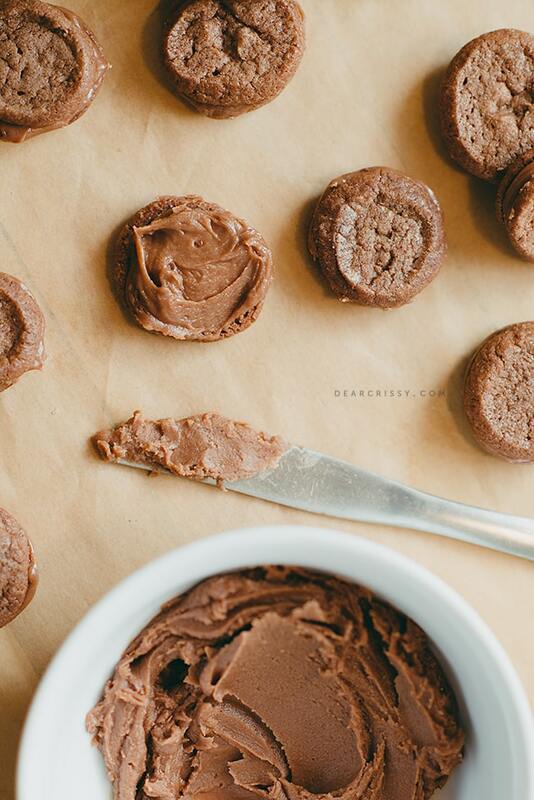 In a medium saucepan melt chocolate and butter over low heat, stirring frequently. Cool for 5 minutes. Stir in BREAKSTONE'S Sour Cream. Gradually add powdered sugar until spreadable. Gorgeous. I love the photo, I love the cookies. Pinned! Given the fact that sour cream is used in the frosting, I’m assuming these cookies need to be kept chilled after making?